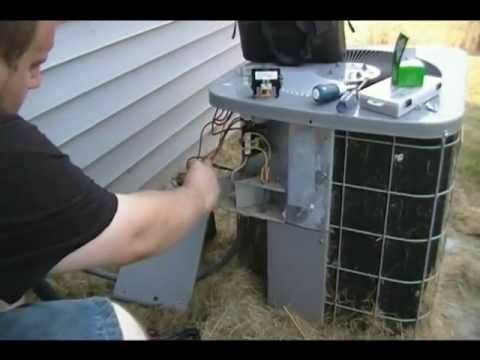 If your air conditioner is not working, it means that the central air conditioner is not cooling right. The good thing is that you do not have to hire air conditioning repair Oshawa experts at all times to have your AC working again. There are simple and useful DIY techniques that can be used to store your air conditioner. These are the secrets that the technicians do not want individuals to know because they will lose a chunk of their customers. When the central AC does not go on when the thermostat signals, here is what you should do. You should first check the main electrical panel and the secondary circuit electrical panels. This is because they will help you to detect the problem which could be a tripped breaker or a fuse that has blown. If there is an issue there, reset the breaker by simply turning it off and then replacing the fuse. If the breaker is still tripping, there could be a short in the system. At this point, it is advisable to get an electrician to solve this issue. Make sure you check the setting of the thermostat as it should be set to cool. In addition to this, its temperature should be at least 3 degrees lower than the room temperature. Sometimes, the switch could be off. Therefore, ensure that it is on. The switch is found in the furnace or the air handler. In addition to this, ensure that the compressor’s 240 volt is not shut off. Once the power to the air conditioner is turned off, the next step is to remove the thermostat’s body. You can separate the body from the base by just pulling it straight out. If it has batteries, at this point you can replace the batteries because it could be out of the required battery level that makes it operate effectively. Proceed to ensure that the wires are securely attached to their terminals. Also, ensure that the cover does not pinch them and then replace the cover. Wait for about five minutes and restart the system. If after all those steps the AC does not work, open the thermostat and then unscrew the wire from the Y terminal. After this, switch the power back on and hold the wire by its insulation. If the compressor kicks on, the thermostat is faulty. Most of the time, the capacitor is the problem. If it has failed, the AC will not run. At this point, it is better if it is replaced.